The local population is very devoted to the Madonna della Misericordia (Our lady of Mercy). Tradition has it, in fact, that in the place where today the sanctuary rises, there was a sacred aedicule of the Virgin of miraculous powers. The site was a pilgrim destination from the XVII century and the present church seems to have risen as a sign of devotion and gratitude to the Virgin from the town citizens. 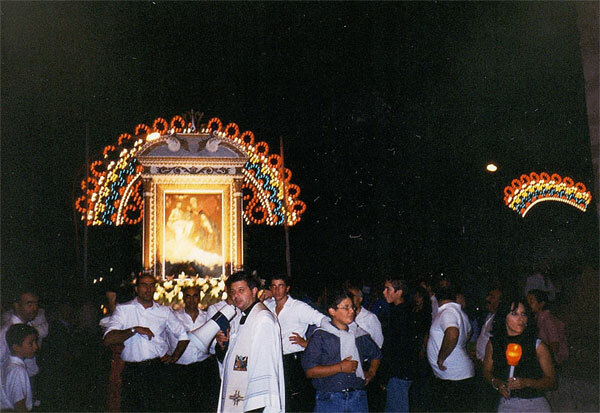 An icon of the Madonna is still today carried in a procession in September.